FROM PEOPLE MAGAZINE (April 30, 2007): When journalist Latus’s younger sister Amy vanishes at age 37 in 2002, authorities find a chiller of a note in Amy’s desk: “If I am missing or dead … question Ron.” Ron Ball is Amy’s ex-con boyfriend, and when Amy’s body is found, something shatters in Latus. A victim of abuse herself, Latus tunnels back to her difficult suburban childhood to decode why two smart, talented sisters might be so starving for love that they would risk their lives to get it. 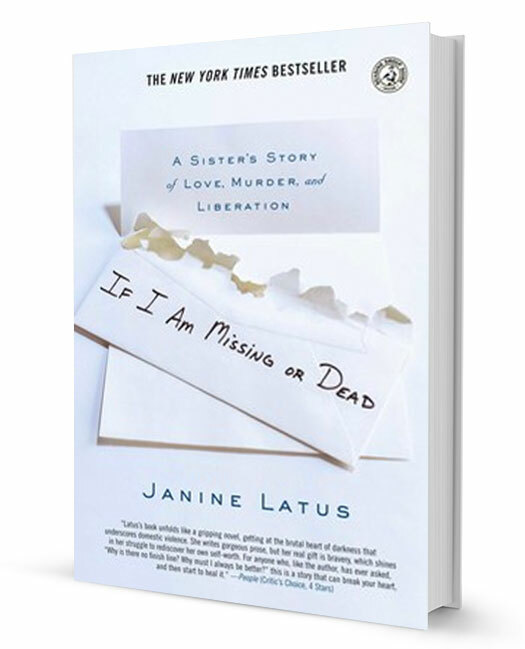 Latus’s book unfolds like a gripping novel, getting at the brutal heart of darkness that underscores domestic violence. She writes gorgeous prose, but her real gift is bravery, which shines in her struggle to rediscover her own self-worth. For anyone who, like the author, has ever asked, “Why is there no finish line? Why must I always be better” this is a story that can break your heart, and then start to heal it.